Protester Renato Flores holds up peace signs on Wednesday, April 29, 2015 in Baltimore, Md. as Baltimore residents march from City Hall to Penn Station in a peaceful protest of the death of Freddie Gray. 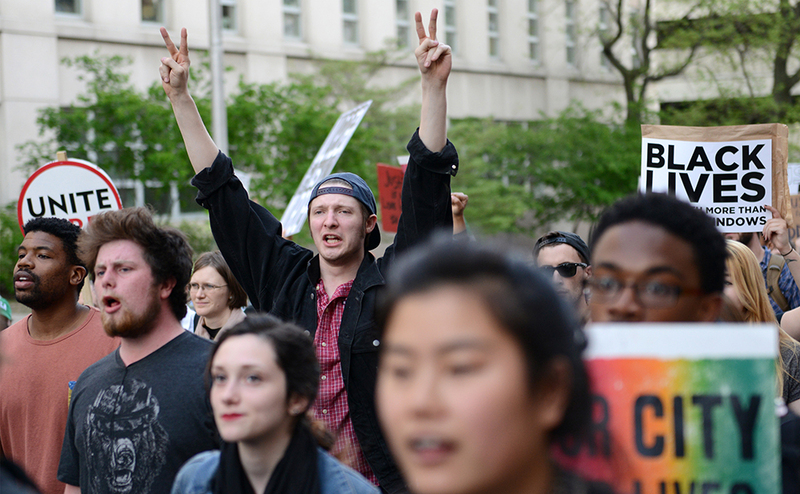 The march took place two days after violent protests broke out in the streets of Baltimore. Photo by David Andrews.